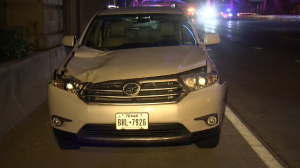 At around 1 a.m. on Friday, March 1, a passenger in a Lyft vehicle was killed in a car crash that also left the Lyft driver in a coma, according to ABC 13. The crash occurred when a motorist driving a gray Dodge truck hit the rear of another, smaller, pickup truck, kept going through an intersection and slammed into the Lyft vehicle. 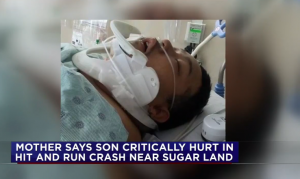 The passenger in the rear of the Lyft car was killed instantly – less than five miles from his home – and the driver was severely injured. The driver of the Dodge truck was arrested on suspicion of drunk driving. According to investigators, he failed a field sobriety test. While this tragic wreck is still being investigated, it raises important questions about legal liability in complex car crashes. According to ABC 13, the driver who caused the accident told officers that “he was pounding tequila shots” at a bar within seven miles of the crash scene. This type of wreck is exactly why bars and restaurants are legally required to “cut off” or refuse to serve patrons who are obviously intoxicated. The Texas Alcoholic Beverage Code includes a “dram shop” statute; that is, a provision to hold establishments legally responsible for injuries caused by over-consumption of alcohol among their patrons. Under the dram shop statute, it must be proven that the drunk driver was obviously intoxicated to the extent they were a danger to themselves or others and were still sold alcohol. These claims are subject to comparative negligence – for example, if a jury finds that the bar was 60 percent responsible for the accident, then the bar will be held responsible for 60 percent of the damages (financial compensation) awarded in a personal injury or wrongful death claim. Proving that an establishment failed to follow proper safety protocols in a “dram shop” case is a fairly high bar to clear. 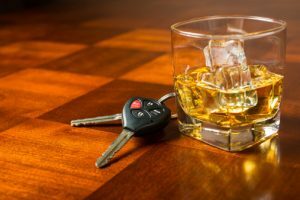 In this case, it is apparent that the bar in question has a recent history of negligence – in June 2018, its license was temporarily suspended after a Houston police officer was hit by a driver who had allegedly been over-served alcohol at the bar. Unfortunately, this is not uncommon in dram shop cases. Many bars have a known history of overserving patrons but fail to make a change until it’s too late – and someone is seriously injured or killed. In this example, both victims were in a ride-share vehicle – the man killed was a Lyft passenger, and the Lyft driver was left in a coma. Ride-share services, because they use drivers’ personal vehicles, can become complex from an insurance perspective. Specifically, most personal auto insurance policies do not cover drivers who are “driving for profit,” which generally includes ride-share drivers. Ride-share services, such as Lyft, carry supplemental insurance that covers drivers when they are involved in accidents not covered by their personal insurance. There is sometimes confusion over which coverage applies – for example, if an accident occurs when a driver is using the Lyft app but is not actively picking up or transporting a passenger. In this case, because a Lyft passenger was physically in the driver’s vehicle when the wreck occurred, it is likely that any applicable coverage that Lyft carries should be available to the victims. Our hearts break for the families of the victims of this wreck. No one should have to suffer a serious injury or lose a loved one due to negligence or recklessness. These kinds of wrecks are exactly why it’s so important to hold negligent drivers and businesses accountable. Establishments that serve alcohol have a responsibility to their patrons and the public to monitor their patrons’ level of intoxication and follow safety protocols. Texans who choose to drink alcohol have a responsibility to make safe decisions, including calling a cab or asking for a ride instead of getting behind the wheel. Victims of wrecks caused by negligence have recourse through the civil justice system. No lawsuit can bring back a lost loved one, nor truly bring back what was lost after a severe or permanent injury. That said, recovering compensation for a deadly accident can make it easier for families to rebuild. It also sends a strong message that negligence has consequences here in Texas and helps to prevent other families from being similarly harmed. If you or a loved one was injured in an accident caused by a drunk driver, Smith & Hassler, Attorneys at Law can help. We would be honored to meet with you for a free consultation. You don’t always see it coming. Objects, small and large, laying in Houston’s roadways that simply don’t belong there. Road debris can include small metal objects that cause tire blowouts. They can also be larger objects that obstruct traffic – causing drivers to stop abruptly or swerve. Cleanup crews have found furniture, kids’ items, household appliances, tires and tire treads. Within the last six months, several traffic accidents or near accidents were attributed to road debris. AAA reports that from 2011-2014, road debris was a contributing factor in over 200,000 traffic accidents, with 39,000 injuries, and 500 fatalities. Who can be held accountable in crashes related to road debris? In many cases when debris is dropped on Houston roadways, the owner of the vehicle is unaware of it and continues driving. When an item falls out of the back of another vehicle, it can strike the vehicles that follow. Some objects can even pierce through the windshield and injure vehicle occupants. In this case, the vehicle and driver can be identified and held accountable for improperly loading cargo. 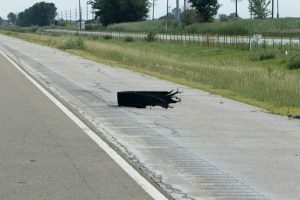 If debris is left on the road for a long period of time without a known source, the local or state municipality in charge of clearing debris from the road may be responsible. Municipal negligence only applies if the debris was already identified but nothing was done to clear it. If you have been involved in an auto accident due to road debris, it’s important to speak to an experienced Houston attorney who knows how to handle complex cases such as yours. Identifying where negligence occurred may take some digging. This includes extracting evidence from a detailed police report, witness statements, and possibly surveillance camera footage. Let the legal team at Smith & Hassler Attorneys At Law work for you. Contact us today to schedule a free case evaluation. When two vehicles traveling in opposite directions crash into each other, you have a head-on collision. They don’t happen often on Houston roads, but when they do, they can result in life-threatening or fatal injuries. Head-on collisions can often be difficult to predict and thus difficult to evade. They usually happen on undivided roadways with frequent curves, especially in rural areas. However, they can happen on busy city streets as well. According to The Car Crash Detective, severe or fatal injuries are highly likely in a head-on collision on roads with a speed limit higher than 43 mph. While your vehicle’s front end, seatbelt, and airbag may absorb much of the impact in a head-on collision, they can only do so much to protect you. Additionally, the damage in a head-on collision at an impact of 80 mph can be four times more devastating than one that occurs at 40 mph. That’s because your vehicle’s front-end frame and interior safety features will no longer be effective at that speed. Recovering from a head-on collision can be a lengthy, costly and emotionally exhausting process. You will most likely endure months of physical therapy, pain medication and surgery. The damage can be so severe that you may never be the same again. When filing a crash claim, you will need the help of an experienced Houston auto accident attorney. That’s because determining which party was at fault in a head-on collision can be very difficult. The driver who struck you may have been distracted, driving recklessly, or driving impaired. Perhaps the other driver was side-swiped by another vehicle in a multi-lane road. Or a vehicle defect caused your head-on collision. The attorneys at Smith & Hassler will work tirelessly to investigate your crash and use crucial evidence to support your claim. Contact us today to schedule a free case evaluation. Can Reducing the Speed Limit In Houston Prevent Fatal Accidents? In greater Houston, we have posted speed limits for a reason – to protect the safety of all road users. However, some drivers fail to uphold their duty of care. Even if speeding drivers are skilled and attentive behind the wheel, their actions can put countless lives at risk. Accident victims are often faced with lengthy recovery times, expensive medical bills, and lost wages. In more extreme cases, innocent drivers can be fatally injured. 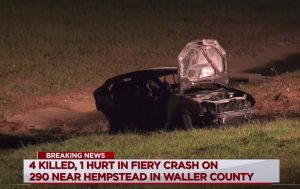 Excessive speeding was a factor in a recent fatal accident in Harris County. The accident happened when one driver sped through a red light and struck another driver making a turn. Both the at-fault driver and the driver of the vehicle that was struck died in the crash. According to the National Highway Traffic Safety Administration (NHTSA), 2016 had approximately 10,111 speed-related deaths, which accounted for 27 percent of all traffic fatalities for that year. 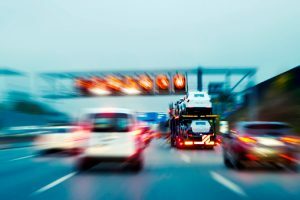 A recent study by the Insurance Institute for Highway Safety (IIHS) suggests that cities across the U.S. should reduce their speed limits in order to prevent accidents. As part of the Vision Zero program, some cities have already reduced their speed limits. In 2017, Texas legislators filed House Bill 1368, which would reduce the default speed limit in cities across the state from 30 mph to 25 mph. However, the bill is still pending in committee. Similarly, transportation experts in Houston are considering taking a variable stance on posted speed limits on Houston highways. According to Beverly Kuhn, a senior research engineer at Texas A&M’s Transportation Institute, safety experts have proposed having adjustable speed limits on Houston highways using electric signs. This means the speed limit would increase or decrease depending on the road conditions or the amount of traffic congestion. 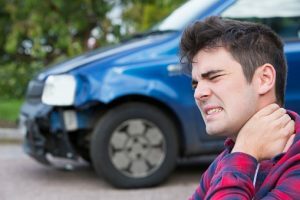 If you or a loved one was injured in a crash caused by excessive speeding, you may be entitled to compensation for your medical bills, lost wages, pain and suffering. An experienced Houston auto accident attorney can vigorously fight to hold negligent drivers accountable, so you and your family can recover. Contact Smith & Hassler Attorneys At Law today to schedule a free, confidential case evaluation. Technology is being used in many new and exciting ways to make the roads of America safer for drivers, passengers, and other road users. New vehicles are being equipped with crash avoidance technology such as lane drift alerts, lane assist technology, cross-traffic cameras, and other warning sensors. Now, technology is being used to identify and alert wrong-way drivers in order to reduce the risk that they will cause a collision. 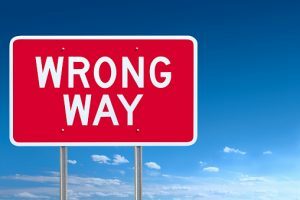 Wrong-way driving is “first and foremost a driver behavior issue,” according to one official at the Arizona Department of Transportation who spoke with ITS International. This official also reported that more than two out of every three wrong-way driving accidents in Arizona are caused by impaired drivers. Often, the driver’s blood alcohol content is twice the legal limit or more. This is a driving behavior that must be addressed independently. Luckily, the good work of powerful advocacy organizations and government traffic safety agencies has been effective at addressing the problem of impaired driving across America. This must continue if the number of wrong-way accidents caused by impaired drivers is to be effectively reduced. Other driver behaviors can also lead to wrong-way accidents. Here in Houston, one driver intentionally traveled the wrong way while fleeing from the police. 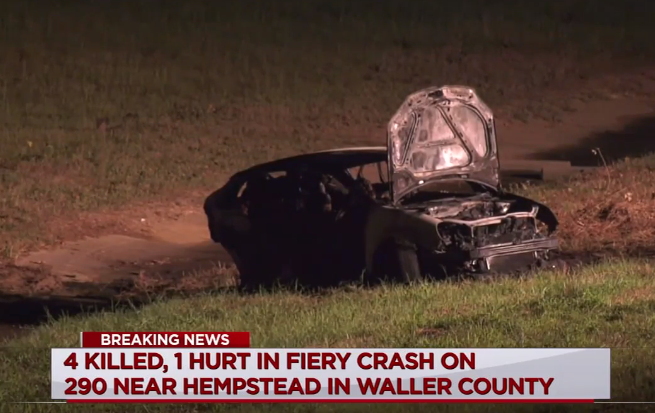 The Houston Chronicle reports that the driver had caused a rollover accident before fleeing from the scene and leading police on a high-speed pursuit. She drove the wrong way on Highway 59, where speeds reached 100 miles per hour. She was eventually stopped before anyone could be injured. This was an incredibly lucky outcome in a situation that “could have been so much worse,” according to the Patton Village police chief. The driver was arrested on charges of both DUI with a prior conviction and fleeing from police. This bad situation could easily have caused injury or death to other drivers in the area. 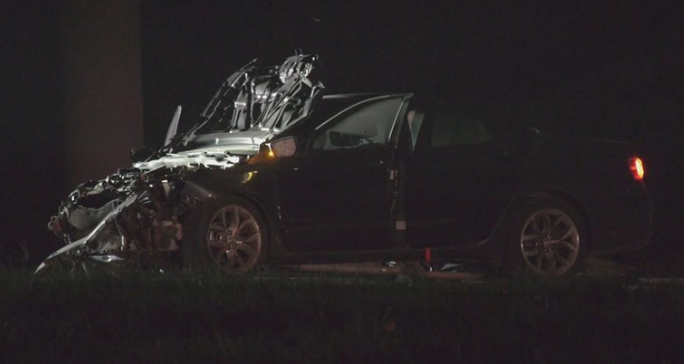 In addition to the initial decision to drink and drive, the driver also chose to further endanger the public by leading police on a wrong-way, high-speed pursuit. This is the kind of driving behavior that cannot go unpunished. In addition to criminal charges and administrative consequences (such as fines, fees, or a driver’s license suspension), it is important that victims hold negligent drivers accountable for their conduct through the civil court process. This can consist of filing a personal injury claim with the driver’s insurance company or filing a civil lawsuit against the impaired driver. Both of these processes provide important financial consequences to deter dangerous driving behaviors in the future. 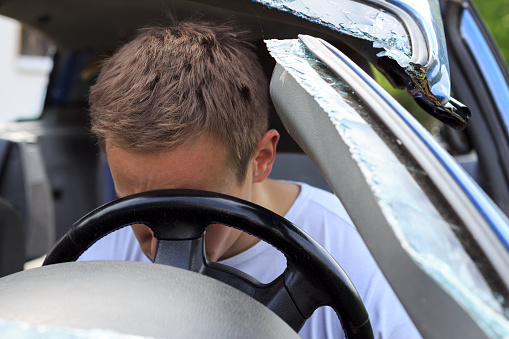 Our Houston auto accident attorneys know just how devastating a wrong-way accident can be. It is important that victims protect their right to be compensated for all injuries and losses incurred as the result of a wrong-way accident. It is also important to hold negligent drivers accountable for their dangerous conduct (even if they were not impaired) in order to prevent future injuries to other innocent victims. Texas is among the most dangerous in the nation when it comes to hit-and-run accident deaths. Valley Central reports that Texas hit-and-run-accident deaths are up 30 percent in the last two years. Nationwide, AAA reports that nearly 700,000 hit-and-run crashes have occurred each year for the last decade, with about two-thirds of those killed being either bicyclists or pedestrians. Texas Transportation Code § 550.022 requires anyone involved in a traffic accident with property damage, regardless of whether the other driver is present, to stop. 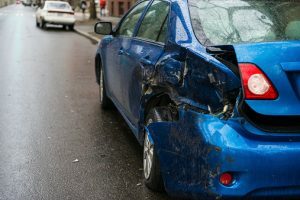 Violations in property-damage crashes may be misdemeanors, but in cases where injury is caused, a driver may face a felony charge and up to 5 years behind bars. Yet despite the law, many motorists choose to leave the scene of an accident. Our Houston injury lawyers know how devastating these cases can be for injury victims and their families. Most result in very serious or fatal injuries. After a fatal hit-and-run, loved ones are left to wonder whether a victim suffered, or whether he or she could have survived if the at-fault driver had called 911 and stopped to render timely aid. The risks in Texas are in part a consequence of a high number of drunk drivers and other risks that consistently cause our roads to rank among the most dangerous in the nation. Motorists who flee the scene of an accident are often afraid of interacting with law enforcement, perhaps because they’re driving drunk, driving a stolen vehicle, driving without a license or already have an outstanding arrest warrant. However, when a driver leaves the scene and is never identified, recovery options for victims are limited. Among the best options is uninsured motorist (UM) or underinsured motorist (UIM) coverage. This coverage pays bodily injury damages (include medical bills, pain and suffering and disability benefits) and property damage to the policy holder in the event of a collision with an at-fault driver who either has no insurance or has inadequate insurance – and a hit-and-run driver is uninsured by default. Benefits are extended to you, family members, passengers in your vehicle and others who are driving your vehicle with your permission. While it’s not mandatory coverage under Texas law, those who do not want it must reject it in writing. The Insurance Information Institute reports that 1 in 8 drivers are currently uninsured. Many thousands of others are carrying minimum coverage. Texas motorists are at particularly high risk for hit-and-run collisions. Add it all up, and UM/UIM coverage, which will add at most a few hundred dollars to your annual policy premium, is among the most important protections you can buy when it comes to keeping you and your family safe on the road. If you’ve been injured, an experienced auto accident attorney at Smith & Hassler can help guide you through the process. Contact us today and find out how we can help you.